These principles of learning are based on research in education and child development. 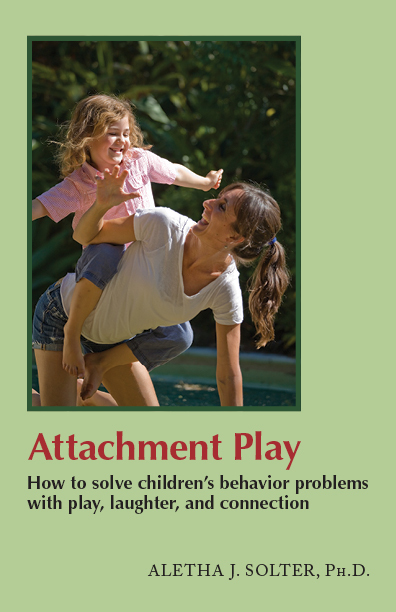 Click here for a one-page printable version of this article for free distribution to parents. 1. All children are born with the desire and the ability to learn. 2. Children learn best when the learning is self initiated, arising from their own curiosity and interests rather than imposed on them. They benefit from an approach that allows choices and self-direction. 3. Concept formation and abstract thinking arise naturally out of concrete experiences. Children learn best by discovery through hands-on experiences rather than direct verbal instruction. 4. Play is the primary mode of learning during the first eight to ten years. It has three major functions. Play helps children acquire physical, social, and intellectual skills. Play helps children understand and assimilate information. Play helps children work through traumatic experiences. 5. Appropriate stimulation is important. 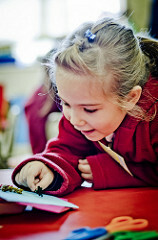 A rich environment with a variety of manipulative materials facilitates children's learning. Children also benefit by being exposed to stories, books, people, animals, places, natural environments, ideas, music, games, and real-life activities. 6. The best toys are ones that inspire children to imagine, build, create, and think. 7. Earlier is not necessarily better. Each child develops at his or her own rate. It's normal for children to lag behind in some skills while they are busy mastering others. 8. There are a variety of learning styles based on seven forms of intelligence: logical/mathematical, verbal, visual/spatial, kinesthetic, musical, inter-personal, and intra-personal. Traditional schools usually emphasize logical/mathematical and verbal learning styles. Children who do not learn well in traditional schools may benefit from an approach that emphasizes another form of intelligence. 9. Children under eight years benefit more from hands-on learning than from digital educational activities. Furthermore, too much screen time can interfere with the learning process by stifling the imagination, promoting passivity, and using up valuable play time. 10. Stress and trauma can interfere with the learning process by causing confusion, anxiety, grief, anger, and difficulty concentrating. The learning process is enhanced when children are allowed to release painful emotions through the natural healing mechanisms of play, laughter, and crying. Show acceptance and love while giving children good quality attention. Use encouragement rather than praise, rewards, or criticism. Have age-appropriate expectations (neither too high nor too low). Use a non-punitive approach to discipline. Encourage children to ask questions and be independent thinkers. Accept children's painful emotions and allow them to cry. Aware Parenting is a philosophy of child-rearing that has the potential to change the world. 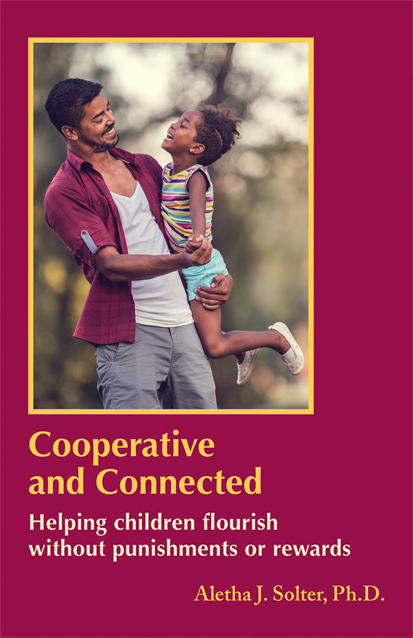 Based on cutting-edge research and insights in child development, Aware Parenting questions most traditional assumptions about raising children and proposes a new approach that can significantly improve relationships within a family. Parents who follow this approach raise children who are bright, compassionate, competent, nonviolent, and drug free. 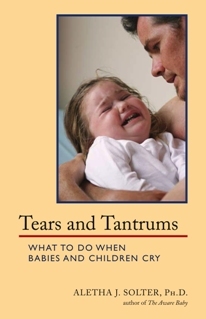 For more information about how children learn and how to help them heal from painful emotions that can block the learning process, see Aletha Solter's books, Cooperative and Connected, Tears and Tantrums, and Attachment Play.